Take A Look At My Vanity! (Sort Of) | Chelsea B. When packing for this trip, I really wanted to keep it simple and just pack the basics. For me, basics include everything but the kitchen sink! I just can't help it! I try to pack for every possible situation. Which meant packing two different types of deodorant. I've been loving my Degree Dry Protection deodorant. This keeps my armpits smelling nice and keeps them dry! I then like to finish up my deodorant with the Secret Rose Body Spray. Just spray a little bit of this directly on your armpits. Keeps them smelling extra fresh! I had to bring my favorite foundation with me! I actually didn't pack a whole bunch of makeup this time, because I've been keeping my everyday makeup fairly simple. 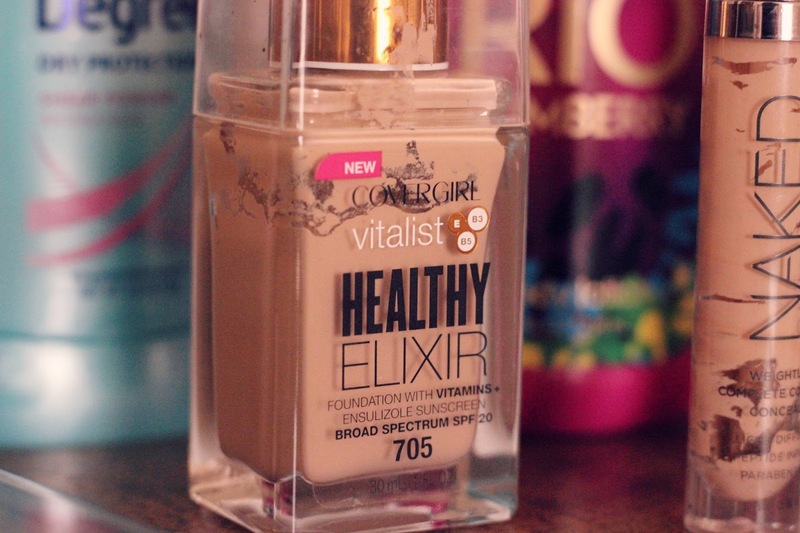 But for foundation, I've been loving the CoverGirl Healthy Elixir foundation. Full coverage and amazing quality! 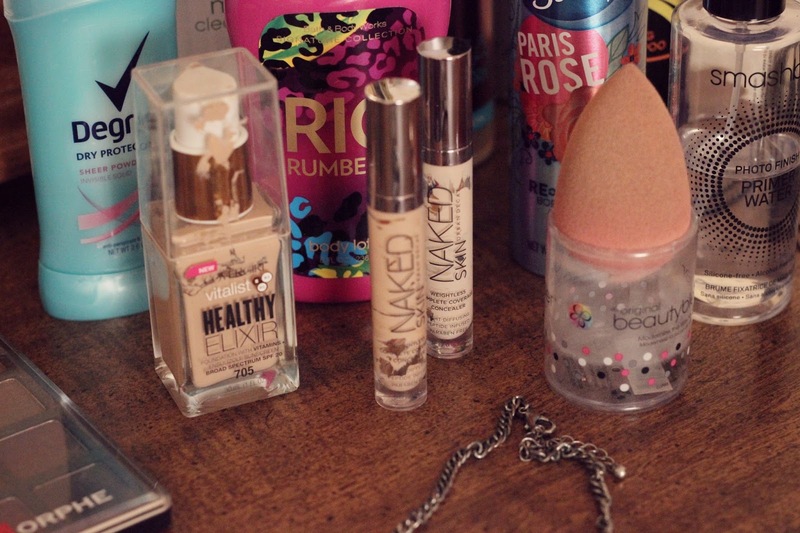 Also like to pair that foundation with my Urban Decay Naked Skin concealers. OH! Almost forgot to mention my foundation primer! The Smashbox Photo Finish Primer Water. And then I also brought my beauty blender to use to blend out foundation. Brought my current favorite makeup remover with me! I've been using the Simple brand makeup remover, and I really like it! It's not greasy, and does a great job at removing waterproof makeup. Lastly, brought my Tresemme dry shampoo. Y'all this dry shampoo has gotten me and my hair through so much! 😂 But, during the music festival I didn't want to wash my hair, so just spray in some dry shampoo and call it good! 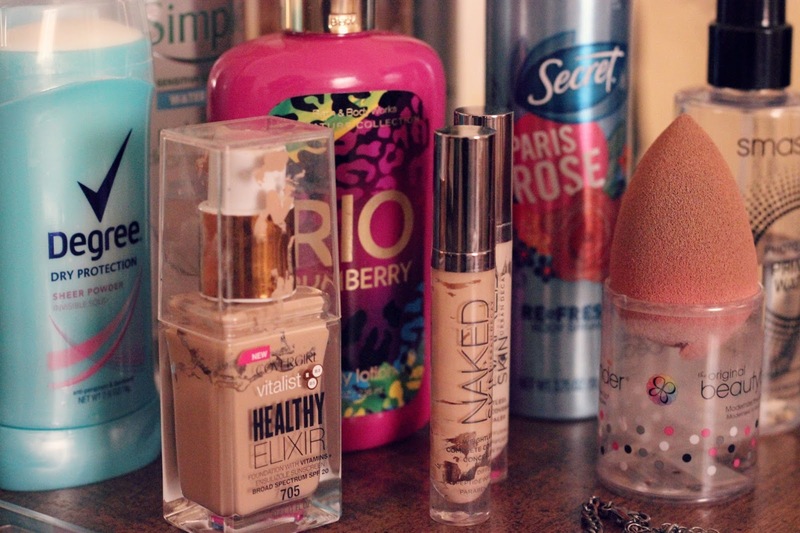 That's currently whats on my vanity that isn't actually my vanity! Hope you guys liked this blog post! Hope you guys are having a great day and a great week!! 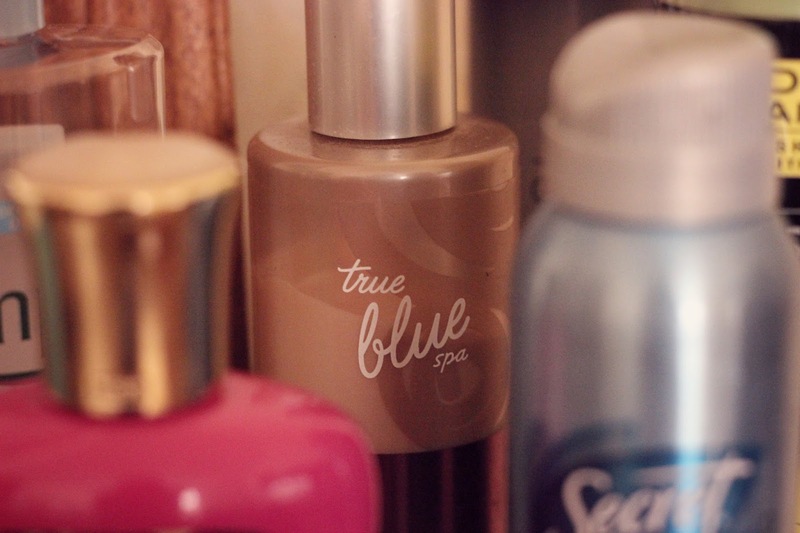 What beauty products are currently on your vanity? Tell me in the comments below!